Striking a good balance between portability and functionality, the Manfrotto Befree Advanced Twist Aluminium Kit will support up to 8kg of gear and weighs just 1.5kg. This kit comes with the RC2 head, a reliable model that comes with a handy quick-release system, and the legs also have an M-Lock twist-locking system that allows them to be deployed quickly. 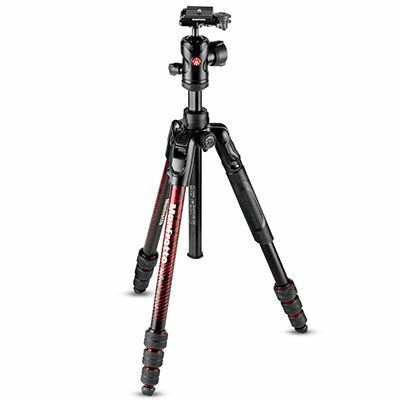 Manfrotto's Befree Advanced Twist Aluminium Tripod Kit in red is ideal for the photographer on the go. The lightweight aluminium frame offers rigidity without adding bulk, while the new twist lock leg system allows for easy and fast leg deployment. 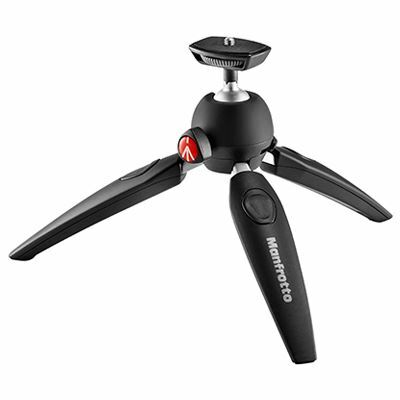 Manfrotto's popular RC2 head comes as part of the kit, providing a reliable head with intuitive quick release system. The carbon fibre construction of this tripod allows it to pack plenty of functionality and sturdiness into a frame that weighs just 1.4kg. If you need a little more mobility, it's also possible to detach one of the legs and convert it into a monopod, and the aluminium head included in the kit can independently pan 360°. An additional inclusion that's useful for the traveller is the padded bag that comes with the kit, allowing easy transportation. The Manfrotto Element Carbon Fibre Big Traveller Kit is a sturdy, easy-to-carry tripod with 360-degree ball head designed for the travel photographer on-the-go. Its solid carbon fibre build offers an 8kg payload and legs that extend up to 164cm and collapse down to 41.5cm. 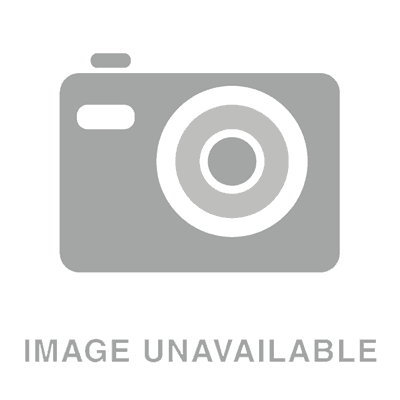 It also incorporates a detachable, full-size monopod built-in, twist lock legs, and an Arca-type quick release plate. If nothing but the best will do, then you're going to want to look into some of the best that Gitzo has to offer. 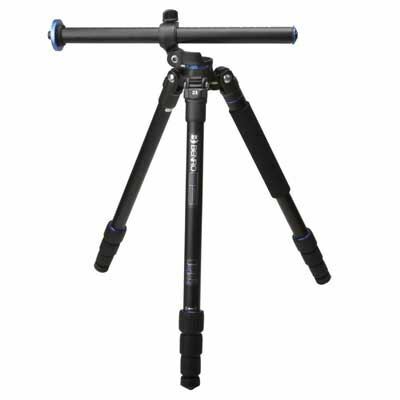 This is the strongest tripod/head combination in the Gitzo Traveler range, featuring Gitzo's innovative 180° leg folding system that allows the kit to pack away nice and small. This is the Series 2 tripod, and its thick body means it's rated for use even with heavy telephoto lenses (Gitzo recommends a maximum of 300mm). Of course, in spite of what we may wish from time to time, not all have us have more than £800 to throw down on a tripod. So why not go for something around a tenth of the price: the Joby GorillaPod Kit 3K, a beefed-up version of the standard grippy GorillaPod that can handle loads of up to 3kg, perfect for a small DSLR or CSC setup. 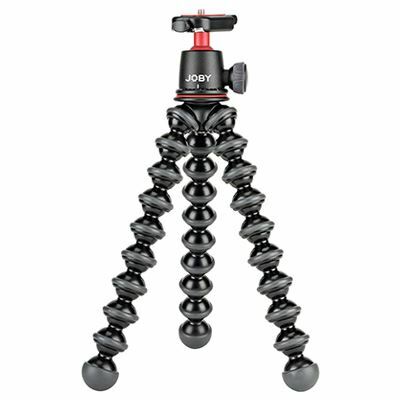 The compact form and grippy legs of the GorillaPod make it a great choice for the travelling photographer, as it'll happily sit in a day bag and can be whipped out and affixed to a branch or fence post at a moment's notice. The GorillaPod 3K Kit retains the versatility and ease of using a standard GorillaPod while increasing the maximum load capacity to 3kg, making it ideal for DSLR cameras and small video cameras. Wrap the legs around handlebars or poles to fix your camera to areas that would normally be off limits, or just stand it on a flat surface like a standard tripod. This comes with the Joby 3K ball head. Of course, if you're looking for the ultimate in affordable camera supports, you really cannot go wrong witht the Manfrotto PIXI EVO Tripod. Don't be fooled by its tiny dimensions; it's more than capable of supporting a basic DSLR rig, and if you fold up the legs with the camera still attached then you have a decent handgrip for using the camera on the move. For travelling light and cheap, there's none better. With its adjustable centre column, the Benro GoPlus Travel FGP18A allows you to set your camera to virtually any angle, opening up possibilities for low-to-the-ground and high-angle shots. 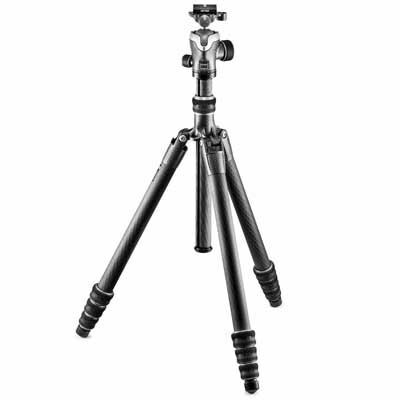 This tripod also has the capacity to turn one of its legs into a monopod, and folds away to a nicely compact 46cm. With a maximum load capacity of 10kg, it's no slouch in performance terms either. 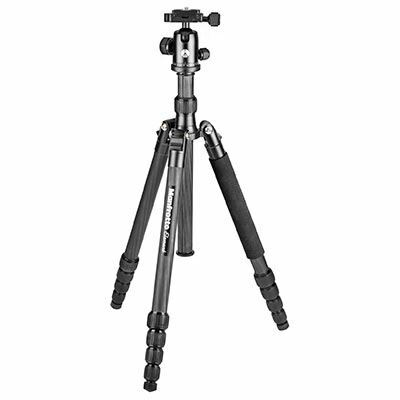 Lightweight carbon fibre, an adjustable centre column, multi-action ball head, intuitive controls – this Vanguard tripod really is the best of all worlds. Its independent leg positioning allows for great flexibility on rough terrain, while its ball head has an Arca quick-release plate. In a nice touch, the tripod and head also feature bubble levels, allowing you to ensure that you get perfectly level horizons, every time.